Once a weaver's home our grade C listed cottage has been carefully modernised but retains all its charm and many period features. There are two double bedrooms one downstairs with original wood floor and one upstairs with separate dressing and seating area. The sitting and dining room has a large open fireplace for cosy nights in and roasting marshmallows. Our well-equipped kitchen has gas cooker with convenient eye-level grill, microwave, washing machine and fridge. 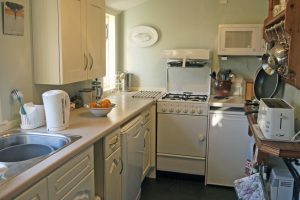 Next to the kitchen is the pantry with a freezer and good selection of cooking utensils, including a fish kettle and asparagus steamer. We've a great selection of books and games plus there's free Broadband, Sky TV and a CD player. We're also within a short stroll from the pub, shop, tea room, village hall, church and play park. The shower room has a generous sized cubicle, heated towel rail and fan heater. 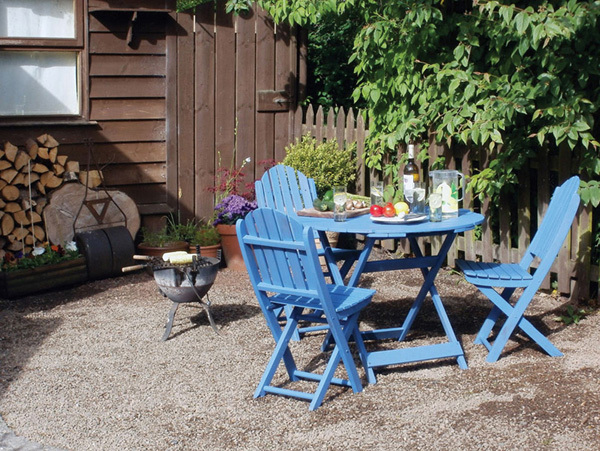 Outside is a south facing patio with garden furniture and space for a barbecue where you can enjoy al fresco meals or just relax with a good book. We've also a travel cot, high chair plus a comfortable chair bed which is suitable for a small adult or child. Hi there! Wondering if you have any last-minute availability starting this Wednesday April 29th and departing the next Wednesday May 6? Would appreciate a call, thanks! Thanks for your interest in Holly Tree Cottage and for your phone call, I'm sorry that the cottage was not available and hope you managed to get suitable accommodation for your stay and have a great holiday. Many thanks for a wonderful stay in your gorgeous cottage, we loved the open fire! Did most of the walks plus Ness Glen and Dalcairney Falls, thanks for recommending them to us. Hope to be back later in the year.